Exit left onto hwy 19 (Queen Kaahumanu Hwy) north along the dramatic lava beds of the Kona-Kohala coast. As you approach the Kawaihae Harbor, Hwy 19 will veer to the right and become Kawaihae Road. Travel uphill for approximately 20 minutes. Look for Opelo Plaza on your left, then the Water Supply Department, and our driveway opens onto Kawaihae Road next to the Water Supply Dept.’s chain-link fence. Look for the Red Water Cafe on your right. Our driveway entrance is on the left, directly across from the Red Water Cafe parking lot.  Take Highway #11 to Highway #19 (Mamalahoa Highway) and travel north along the scenic Hamakua coast to Waimea (also known as Kamuela). When you enter Waimea/Kamuela town, turn right at the 3rd traffic light onto Lindsey Road. As the road veers to the left, it becomes Highway #19 again (Kawaihae Road). Approximately ¼ mile along Kawaihae Road you will see Red Water Café on the left. Our driveway entrance is on the right, directly across from their parking lot.